Most owned cats are indoor only, reducing their risk of exposure to viruses from other cats which can make them ill. Even indoor cats can be at risk, thus keeping their vaccines up-to-date is an excellent idea! Indoor cats can try to escape, or can be nose-to-nose with a feral cat through a screened window or door. Interestingly, many cats are exposed to viruses from their mother cat around the time of birth. During their lives, exposure may change. Areas of higher exposure would include: being in a shelter, going outdoors, living in a multi-cat household, etc. There are three different vaccines which we administer to cats to strengthen their immune system, helping them be prepared for a viral attack. All vaccine plans are tailored to the specific patient. 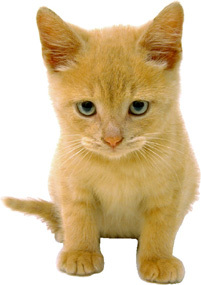 The “friendly” cat virus, Feline Leukemia can be obtained from drinking from an infected puddle, through bites, while in mom’s womb, or through grooming. This virus causes the destruction of T-cells, immune system cells needed to fight infections. When this population of immune cells are destroyed, the cat is then susceptible to other infections, anemia, and cancers. With any kitten, we recommend blood testing first for Feline Leukemia and Feline Immunodeficiency Virus (FIV) to determine whether they have already been exposed to these viruses. Once we know they are negative for these viruses, they are vaccinated for Feline Leukemia twice, one month apart, to give some immunity. When our cats grow, if they are deemed to not be an escape risk, are not going outside, then the vaccine can be stopped. Upper respiratory viruses (Calicivirus, Rhinotracheitis and Chlamydophila) are very easily transmitted between cats via grooming, sharing bowls, or when at high density locations (such as animal shelters, outdoor cats). Persian cats are especially at risk due to their flattened facial anatomy. The most common symptoms would be upper respiratory or eye infections, but they can also cause oral ulcers. Kittens will have three boosters of FVRCP when kittens, boostered at their annual appointment, then every 3 years (Depending on the vaccine which is used). Panleukemia is a parvovirus which causes a suppression of the immune system as well as severe, life threatening diarrhea. Viruses such as feline herpesvirus can stay dormant in the body until a period of stress causes them to re-emerge. Vaccinating cats for upper respiratory viruses aids in the prevention of illness, or if they have already been exposed, to reduce the length and severity of illness. We vaccinate for rabies to protect our pets, ourselves, our friends and family. Rabies virus is easily transferred by scratches or bites to people or other animals. The virus can be fatal within days. If a cat does scratch or bite a human, it is reported to the Health Unit and the animal is put under quarantine. Quarantine is essentially a ‘house-arrest’ for the pet, the Health Unit re-evaluates the pet a certain number of days after the quarantine to ensure the pet is still alive and well. 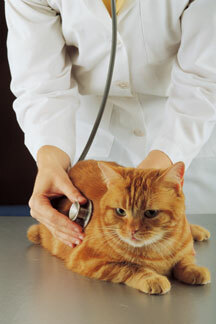 If your kitten or cat is due for vaccines, or you would like to discuss your cat’s risk further, please give us a call.